Growing vegetables and raising fish at home in a sustainable aquaponic system. Indoor and backyard aquaponics combines the craft of hydroponic growing with aquaculture, the art of keeping fish. The water in which the fish live, along with the fish-produced waste, eventually ends up nourishing garden plants. It’s then recycled to the fish tank. The plants get the nutrients they need and the fish get fresh, recycled water. In return, the savvy gardener gets organic vegetables for salads and fish for the grill. This is the simplistic explanation of aquaponics gardening. In practice, it’s a balancing act that supports all its living components, including the microscopic life that facilitates the natural conversion of fish-produced waste into usable, beneficial nutrients for plants. In an aquaponic system, the route from fish to plants is populated by a filter of beneficial bacteria that converts the fish waste — mostly harmful ammonia and nitrites — into nitrates and other nutritional elements that plants thrive on. The plants take up this natural fertilizer and return waste-free water back to the fish. The cycle repeats, reusing the self-contained system’s water over and over again, once balance is achieved. It’s like learning to ride a bike. A steady, guiding hand is needed at first. Once the system gains equilibrium, it rolls on without much help. With the right indoor gardening supplies building an aquaponic system is easy! Planet Natural has everything you need to get setup: pumps and tubing, plus discounted grow lights that will guarantee a healthy harvest. Now, let’s grow together! It’s no wonder that commercial-scale aquaponics farming is is becoming more widely practiced at a time when water is in short supply. Not surprisingly, the systems and techniques utilized by large scale growers were first developed by small enthusiasts often working right from their backyards. While the principles are easy to understand, its application, even for small home aquaponic systems, can be made as simple or as complex as you like. Best to start simple. Basic equipment includes tanks and grow trays and the plumbing to connect them, as well as pumps and drains. 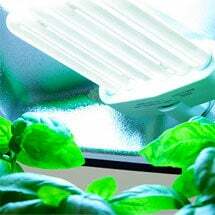 Unless you’re growing outdoors in a temperate climate, you’ll need to provide artificial light and heat. There are non-sustainable aspects to aquaponics, namely daily fish food, the electricity to run the pumps and the lights, and the water required to replace loss from evaporation and other factors (hopefully not leaks). Then there’s the tanks and the pipes. These are one-time purchases. 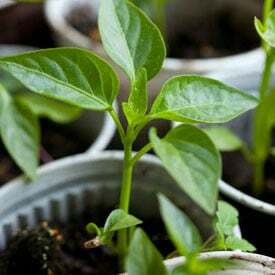 Once established, growing this way is sustainable and earth-friendly, using less fuel and chemicals, not to mention water, than conventional gardening. Establishing a homemade system doesn’t have to be expensive. Many do-it-yourselfers save money by scavenging plastic barrels, stock troughs or recycled bathtubs to cut costs. Aquaponics, no matter the scale, makes for a dramatically more-efficient garden. Done right, it yields both fish and vegetables at impressive rates, rivaling the most intensive, stand-alone hydroponic and aquaculture operations. Better yet, it solves most problems experienced by hydroponic and fish-raising systems, namely providing a constant, balanced supply of plant nutrients without additional fertilizer while disposing of the wastes that accumulate from fish and food in aquaculture tanks. Protects the environment by using less water and generating less waste and runoff. Instead, the self-contained system recycles its water, removing potential pollutants along the way. Very little water is wasted. Large-scale aquaculture growers are said to use 2% of the water consumed by conventional farming. No fertilizer required. With the help of beneficial bacteria, it’s produced — organically — from the fish waste, cutting out fertilizer expense. Easily adapted for home and small-scale needs. It also can be sized for continuous, economically sound, commercial produce production. Yields both nutrient-packed carbohydrates and protein in the form of vegetables and fish. Fish are not exposed to mercury, PCBs or other pollutants. No antibiotics or growth hormones of the type used in commercial fish farming are required. Makes it easy to grow organic by prohibiting the use of pesticides or herbicides that would harm the fish in the system. 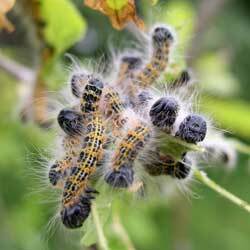 Fast, healthy growth discourages insect problems, even in greenhouses. Gardening beds are most frequently placed above fish-raising tanks, bringing them up to an easy-to-work height. No bending or stooping required. Allows for local, small farm growing, even out-of-season. 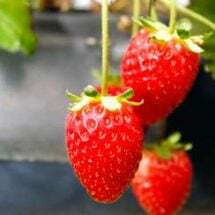 And while local out-of-season growing requires energy in the form of heat and light, it doesn’t compare to the fuel-gobbled up by trucks, tractors and other farm equipment as well as that needed for long shipment and refrigeration of commercially grown produce. 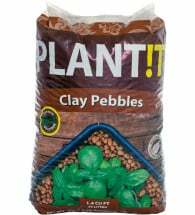 Derived from a renewable and plentiful source, PLANT IT® Clay Pebbles are considered an ecologically sustainable growing medium. Available in TWO sizes: 10 liter and 40 liter bags. Nitrification. The chemistry behind the conversion of fish waste, uneaten food and other organic matter from the fish tanks into nutrients plants can use — the nitrogen cycle — is somewhat complicated but worth understanding at a practical level. Fish excrete ammonia through their gills. Some ammonia is also created in the fish tank as aquatic plants and uneaten food decays but most come from the fish themselves. Ammonia is a source of nitrogen, something plants need. Its conversion requires two kinds of bacteria. The first, Nitrospomonas sp., converts the ammonia to nitrites (NH3). The nitrogen in nitrites isn’t usable by plants. And even at low levels, nitrites are toxic to fish. A second bacteria Nitrospira sp. converts the nitrites to nitrates (many sources credit the Nitrobacter sp for this conversion) a form which can be used by plants who then remove it from the water. The water is returned to the fish, waste and ammonia free. The nitrifying bacteria that facilitate the conversion process occur naturally and will multiply in the system as conditions come into balance. They can also be introduced into systems. 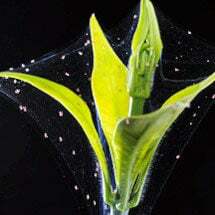 Once established, they live in the grow trays, in the growing medium and in the pipes that conduct the water to the grow beds, visible as as slime known as biofilm. It’s in this film that the bacteria to do their thing. Intensive growers and those using large volumes of water add a third vessel to their fish tanks and grow trays known as a sump, a place where bacteria can multiply and convert waste. Water from one or multiple grow beds first goes to the sump before it returns to the fish tanks. As in soil, numerous factors are at play to create the best conditions for plants, fish and conversion bacteria. Maintaining proper pH levels in the water is critical. As gardeners know, most plants prefer a slightly acidic pH. But fish prefer a slightly alkaline pH, as do the beneficial bacteria. This requires a compromise, a pH of 6.8 – 7.2 to keep all three happy. Growers need to keep a close eye on the pH level of the water in their system, especially at first. 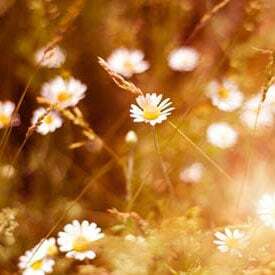 A pH reading of 7.0 and higher is required in a new system that is “cycling,” the period in which the nitrifying bacteria are establishing themselves before the addition of plants. Once plants are added to the system, the pH naturally declines. If the pH is too acidic, falling below 6.8, the waste-conversion process will slow, allowing nitrites back into your fish tank. Because pH levels vary naturally, growers need to periodically check for ammonia and nitrite levels in their systems. Some types of fish (tilapia) are more tolerant of less-than-perfect water conditions than others. But all do best when conditions are ideal. Aeration, the movement of fish tank water so that it may absorb oxygen, is also necessary. This is usually accomplished by the water circulating back to the fish tank. More intensive fish raising can require supplemental oxygenation from an aeration device like those used in aquariums. 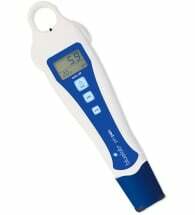 “This is one reliable meter!” The Bluelab® pH Pen will quickly and accurately measure your hydroponic solution’s acid/ alkaline balance. Use to maximize plant nutrition and ensure optimum plant health, growth and yields. Before choosing a system, consider where it will be located. Indoors (garage, basement, other)? Outdoors? In a greenhouse? Consider availability of water and electricity. Will you need to light and heat your aquaponic garden? Most likely, especially for year-round operation, you will. Almost all setups require circulation between the grow beds and fish tanks. Consult the resources listed below for specific circulation systems. Plans like these will help you design your own system to fit your particular space and needs. Systems are mostly defined by the type of hydroponic growing beds they use. Grow medium systems, using clay pebbles, Growstone®, coco coir fiber or rock wool are favored by beginners. 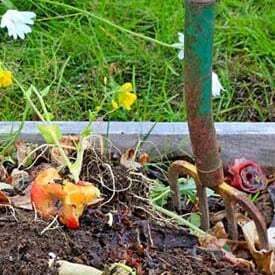 These soil-less media provide good drainage as well as space for beneficial bacteria to grow. Systems using a soil-less grow medium are further defined by the way they supply water, either with a constant flow or with a periodic flooding (ebb-and-flow). The nutrient film technique, used by many hydroponic growers, channels water through pipes in which grow cups are set. This type of system is suitable for many kinds of garden vegetables (lettuce) but not others. The deep water culture method floats plants on the water, letting their roots dangle. Water from the fish tanks is constantly cycled through the grow beds. Some growers have experimented with growing plants in this style right on top of the fish tank. These methods may require drainage or additional steps to convert fish waste. Not all plants take well to this type of growing. 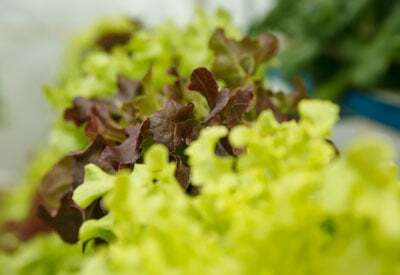 Generally, the same vegetables that do well in hydroponic systems can be grown in aquaponic setups. These include lettuce and other leafy greens, tomatoes, cucumbers, strawberries and herbs such as basil, mint, watercress and chives. Root vegetables, including carrots and turnips, can be grown if the planting media is deep enough. They’re difficult to raise in floating raft-type set ups where they often produce strangely shaped, twisted roots. 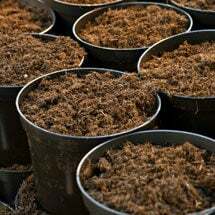 Here’s some good, practical advice on what to grow in your system. Long coconut fibers with less dust! 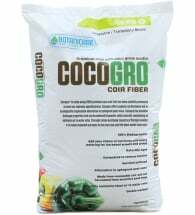 Botanicare® Coco Grow Coir Fiber is a premium potting mix with excellent drainage properties. 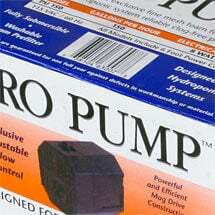 Offers superior performance and can be watered frequently while maintaining an optimum air to water ratio. What Fish are Best for Aquaponics? Tilapia. Tilapia are currently the most popular and easily raised of food fishes. They reach harvest size quickly and will tolerate a wider range of pH and water temperature levels (60 to 75 degrees and above) than most fish. Tilapia are omnivorous and usually won’t harass or feed on their smaller brothers. The firmness of their flesh and mild taste have made them popular with chefs. They’re especially good grilled. Some states ban certain types of tilapia in an effort to keep them out of fresh water lakes and streams. Catfish are the leading, commercially raised freshwater fish. They are hardy, suitable to warm-water conditions up to 80 degrees and resistant to many diseases and parasites that can appear in self-contained tanks. Because catfish crowd the bottom of tanks, they are usually raised at density levels less than those recommended below. Trout are a favorite food fish but are more difficult to raise. They require relatively cold water temperatures (55 degrees or less). Water this cold will affect the growth of vegetables. Lettuce and other cool-weather crops will grow slowly with water at this temperature. Tomatoes, cucumbers, squash and other warm-season crops aren’t suited for systems raising trout or other cold-water species. Carp are hardy and adaptable to a wide range of conditions. This makes them a good choice for beginners. Not always a favorite food fish, the carp you grow in clean, aquaponic water don’t have the muddy taste of carp taken from rivers and lakes. Properly filleted, carp makes for excellent tacos and sandwiches. Goldfish, cousin to the carp, are a popular, non-harvestable choice for home systems. Hardy and easy to obtain, goldfish and their larger relative Koi fish, add decorative touches to your system. Both are a good choice for beginners. Other fish used in aquaponics include perch, bass, bluegills (sometimes grown in conjunction with catfish) and various types of non-fussy aquarium fish such as guppies. It’s important to calculate the density of fish to the water in your tanks. Too few fish means less nourishment for your plants. Too many can starve the fish of oxygen and otherwise stress them. Rule of thumb suggests a quarter pound of fish or less per gallon of water. Higher densities — a half pound of fish to a gallon of water — should be attempted only by experienced growers. 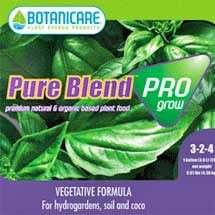 A 100% recycled growth medium that's perfect for vegetables, herbs and flowers. Lightweight and mess-free! 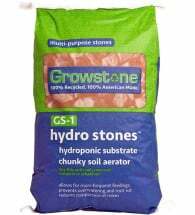 Growstone® Hydroponic Substrate (GS-1) is a 100% natural, recycled growth medium that’s perfect for vegetables, herbs and flowering plants. When adding new fish to the system, quarantine them first for at least three to five days to make sure they won’t introduce disease into your fish tanks. Do not use copper tubing or plumbing in your setup. Copper is toxic to fish. Fish are sensitive to rapid temperature changes. Keep water temperatures in fish tanks as constant as possible. Don’t expose outdoor fish tanks to the sun which can cause rapid water temperature fluctuations. Provide shade or cover to prevent algae from growing in the tanks. Heating the water in your fish tank to keep it at the proper temperature can be the most power-consuming facet of your aquaponic system. Insulate as possible. Outdoor systems placed against the house or other buildings help slow heat loss. Here’s a good video introduction with a somewhat commercial slant from Purdue University Extension, the National Oceanic and Atmospheric Administration and Sea Grant College Illinois-Indiana. Texas A&M’s site, Growing Fish and Plants Together (PDF), is geared to smaller, home operations. The Unites States Depart of Agriculture has a long lists of informative links that cover various aspects of aquaculture and soilless farming. Looking for ideas on how to design your system? Try here. 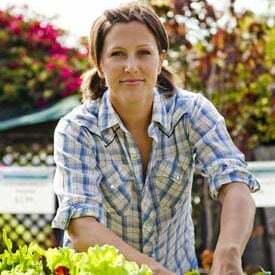 The definitive resource for growers continues to be Sylvia Bernstein’s Step-By-Step Guide To Raising Vegetables and Fish Together. Excellent article that covers most all the major points about aquaponics. In our experience, we have really healthy fish and plants all the way down to a pH of 6.0. I have also had customers with pH as high as 8.0 that have success although there are certain plants that will not do well at that level. The pH is very important but a lot on what you are growing and what kind of fish you have. Tilapia seem to be happy at just about any level! Great article Vinje. It looks like the link for growing fish and plants together has moved to a new page. Is this the article you were trying to link to? Why yes it is! Thank you for the link update. Good basic intro to the concept. Makes me want to do more research to see if such a system is feasible for my situation. Thanks.